The “gift” that Sandi is referring to is that of psychic ability. It’s the job of a psychic to shed light onto the unknown, to identify information hidden from the normal senses. 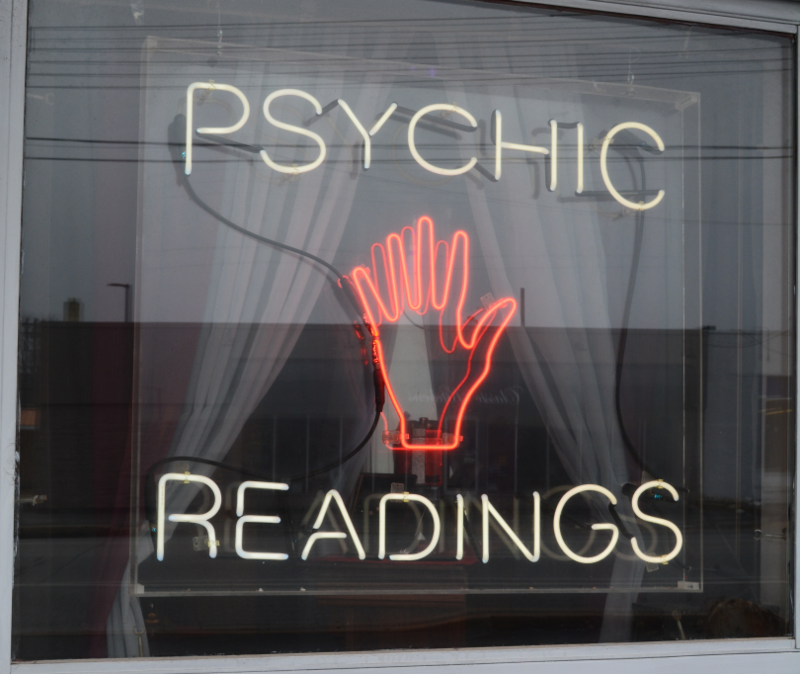 People search out psychic guidance for a plethora of reasons: an understanding of the past, a look into future careers, a peek into their love lives — even an idea about their future happiness. There it is — the “younger crowd.” This “younger crowd” is referring to college students, specifically young adults ages 18 to 23 who are either starting, in the middle of or ending their college careers. A 2016 survey done by NBC news found that in recent years a record number of college students have begun to seek treatment for depression and anxiety. This never-before-seen number is no surprise, considering the sheer amount of work and the amount of classes that have to be taken; it’s a modern age of young students who are trapped in a pressure cooker college system. Gen Z is a newly defined generation with completely different hopes and dreams than those of the past — it’s a generation of dreamers. These are dreamers who are highly influenced by social media, which always pushes the idea of living bigger and better; dreamers who were taught that college leads to jobs, and who are slowly realizing that the statement isn’t always true. In his article, “The Glass-Floor Problem,” New York Times Op-Ed writer Richard Reeves describes the ever-widening generational socio-economic gap through the lense of “inequality [hardening] into social stratification.” There’s an opportunity gap between Xennials and Millennials, and it’s spilling into Gen Z, but there’s a problem: Gen Zers aren’t getting the memo about this stagnation of social mobility. Adolescents and young adults are on a collision course with their futures, and it therefore came as no surprise that when Sandi was asked if she had seen a shift in recent years regarding the number of college students who seek her out, she responded with one word: absolutely. To college students, this feeling of an “unknown” — past, present and future — creates great pressure and has caused many to turn to the guidance of psychics— a scientifically unproven, questionable form of reassurance. Sandi explained that within the past five years she’s seen an influx of college students coming in with questions not about their love lives and relationships, but rather, questions about their future careers. The current generation of young college students have been promised the world at their fingertips while simultaneously being thrown into the pressures of the modern-day workforce. As majors are chosen and graduation looms ahead, fear is implanted in the minds of students as to whether or not their lives will turn out the way they had always imagined. What does a young adult do when they don’t have the answers? They turn to someone who does … just maybe.